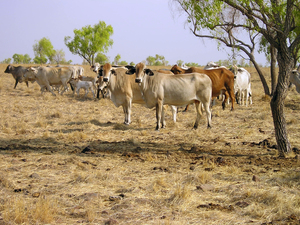 CSIRO and the Queensland Department of Primary Industries and Fisheries have produced guidelines for cattle grazing in the Burdekin River catchment area. Sustainable grazing, which includes practices such as wet season spelling and conservative stocking, has been shown to improve pasture condition and economic profitability. It also shows promise as a key strategy to reduce the loss of sediments and nutrients in run-off to the Great Barrier Reef.